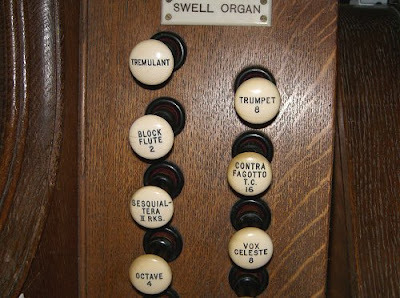 A sesquialtera is a mixed stop popular in English organs of the 19th century. It uses several ranks of pipes to reinforce the fundamental and produce a brighter (Bryter?) sound. 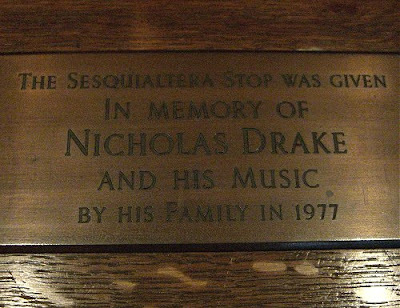 The sesquialtera stop seen in my header photo was added to the organ in the church of Saint Mary Magdalene in Tanworth-in-Arden in memory of Nick Drake. 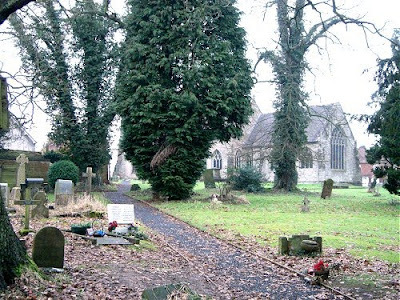 Below is a view of the 14th century church with Nick's grave visible bottom left. The words Now we rise and we are everywhere, which are inscribed on the back of his headstone, come from the last track on Nick Drake's final album Pink Moon, recorded in 1971. Read more in A skin too few and I am a camera - St. Tropez 1967. The overgrown path that brought me to Nick Drake was Brad Mehldau's performance of River Man on his double CD Progression: Art Of The Trio (Volume 5) released in 2000. Wonderful solo performance of the Nick Drake classic on the video below, non-German speakers should fast-forward to 1.00 minutes. Last autumn, visiting a friend in Birmingham, we spent the day walking in the countryside around Tanworth-in-Arden, but started with a visit to the church and the grave of Nick and his parents. I am not old enough to have been aware of Nick's music whilst he was still alive, but bought the vinyl version of the Fruit Tree set when it was first released, which must have been in the mid 1980s. I return to his music at least a couple of times each year, and it has never failed to move me deeply. I would have very much liked to see the Way to Blue tribute - the Green Gartisde contribution in particular sounded wonderful - I am long time Scritti Politti fan, too. Brad Mehldau is not the only jazz musician to have covered Nick's music. The trumpet player Nick Smart released a fine album, perhaps three years ago. I was also very taken with the Unthanks' version of Riverman on their debut album. It is lovely to see successive generations discovering these wonderful songs, as I did some 25 years ago. Finally a word for Robert Kirby, who died last autumn, who provided some of the wonderful string arrangements for Nick. Another wonderful Path, Bob. The American pianist Christopher O'Riley, known for his arrangements of Radiohead which he often plays as encores following his recitals of standard-repertoire "classical" music, has a lovely album of arrangements of Nick Drake compositions, Second Grace: The Music of Nick Drake on the World Village USA label. 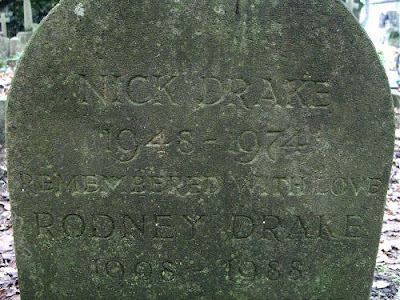 The CD booklet includes O'Riley's moving appreciation of Nick Drake's artistry.